How did I spend Prime Day? 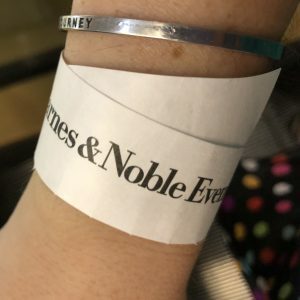 Feeling like a rock star because somehow book signings have become a place that require wristbands. Epitome of nerd cool. Because I knew I had a long train ride to and from our staff outing on Wednesday, I made the decision not to get Allon for my Kindle and as a consequence I had to wait until I headed down to the Union Square Barnes & Noble to get my grubby hands on a copy 😮 I’m glad I headed down there early as it was more crowded than I expected. 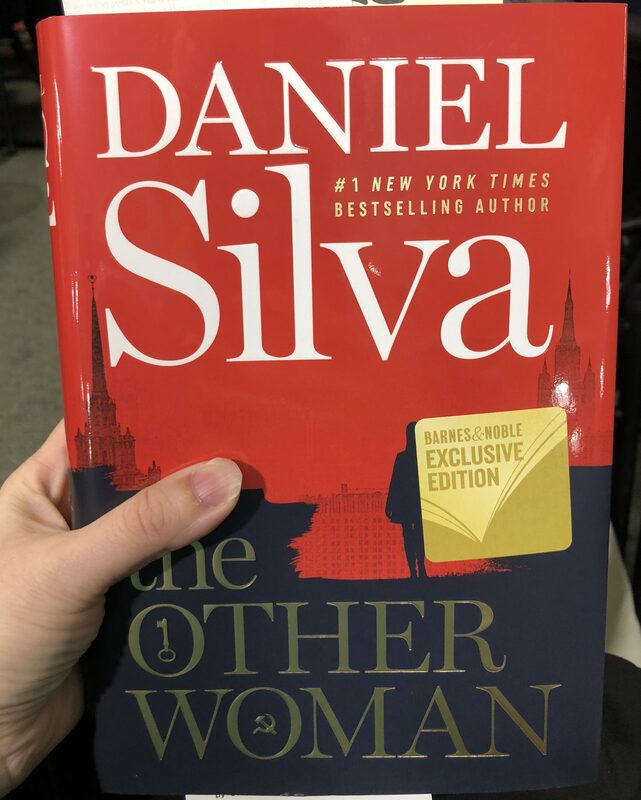 I usually go to both Silva & Linda Fairstein’s book signings at Barnes & Noble (and shamefully, probably the only visits to Barnes & Noble), but I’m pretty sure this is my first “Exclusive Edition” and I can’t honestly say I noticed anything different to prior titles. I quickly started to read and wasn’t too sad when Daniel Silva’s social media person mentioned he was on his way but running late. After an introduction to the book and its relationship to the current state of affairs, Silva took questions from the audience. This is almost always the first stop on his book tour for each new release and it was a sea of friendly and mostly familiar faces who asked him questions about the series, the book, the eventual movie and more. They then quickly re-set the stage for him to sign the books. I was behind someone in line who brought a few from the backlist. Although I’m not much of a hard cover (or even hard copy) person, there’s something magic about the smell of books. It was soon my turn and I’m still amused that he told me to “say cheese”. The great Gabriel Allon should not say “cheese”. I thanked him for his time and the creation of Allon and headed home to read. Here there be spoilers. Dragons maybe, but mostly spoilers. 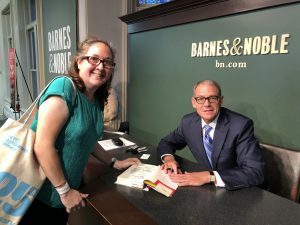 This is the eighteenth novel in the Gabriel Allon series, and one thing that came out of the Q&A that I’d forgotten was that he didn’t even appear until the fourth Silva book. It’s book 8 in #20BooksOfSummer (better than I thought!) 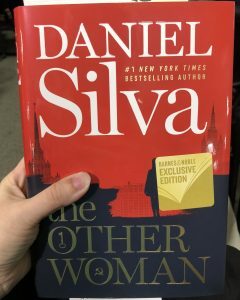 and it’s also the fifth Daniel Silva book I’ve reviewed here-he’s almost certainly the only fiction author I review outside Goodreads because he’s just so amazing. As for why it’s here when it’s not travel (or lately, running) related? As I mentioned when I reviewed The English Girl, it’s the series that got me to go to Israel for my 30th. Silva brings the world to life. 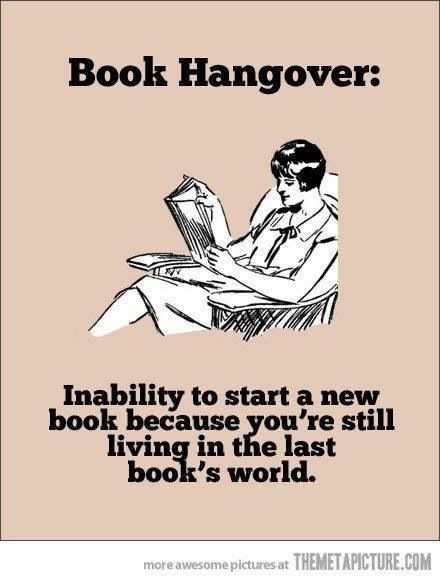 That’s not a Daniel Silva line, but it’s so perfectly applicable to the way I feel about each book in the series. I can’t wait to dive in, but then I know there’s ~360 days until the next. Luckily that usually passes in about August, but it’s still a long year between titles. This title? One of his best despite the too close for comfort state of American/Russian relations. In rereading my review of The Black Widow, I realize I’ve had the same thoughts about Russia and Chiara for a while now. I loved the scenes at home on Narkiss Street, but I miss spy Chiara. I also really loved the scene with Shamron where they’re talking about a mole who fears Allon is “neglecting your service and your family at a time when both need you desperately”. I hope this doesn’t indicate future discord between Gabriel and Chiara. I feel as if she’s in even more danger now since Rebecca knows her name, but I don’t think Allon will put her in danger. Of course it went wrong, everything that can go wrong goes wrong in Vienna. Although Heathcliff only played a minor role in the overall story, I love how it was a spy that set the dominoes moving. Yes, a spy. I realize in Allon’s world they’re all spies, but Silva’s habit of constantly referring to the KGB/SVR people as “hoods” got irritating to the point of distraction. A minor quibble in an otherwise excellent book, but I’m pretty sure I never want to hear the word “hood” again. I do wonder what happened with the hood known as Sergei Morosov as I feel as if his story was left unresolved. And Sasha, who is Sasha? While I’ve mentioned before that the ISIS titles are too close to home to be truly enjoyable as entertainment, I didn’t feel that way about this one even as Russia & the US in the form of Putin and Trump are doing an unholy dance concurrent with this book’s release. I liked that the plot of this with Rebecca Manning allowed for more of a focus on Graham Seymour than splitting the work with he and Adrian Carter. A nice change. I like that we still had some Keller although he’s faded somewhat into the background. I’m glad that Gabriel as Chief is still an operative in the field, even if that’s wholly unrealistic. I miss Allon the art restorer and was sad to hear Silva say that while Chief, Allon wouldn’t be doing any of that. I did love when he referred to his past as the prince of fire and angel of vengeance. One thing that really confused me was when they made a brief sojourn to Wormwood Cottage and Parish was pleased to see Gabriel who Silva described as “Five-foot-nothing” I can’t believe he’s that short & actually tweeted Silva’s social media person about it. And yes, this is absolutely true. Today and always with Allon. I love how you lock things in your mailbox to stop yourself reading them: I remember you doing that with your Kindle before! And glad this was a good experience all round. I do love a book signing although don’t get to many somehow. Having said that, I’m going to a running talk on Monday that doesn’t seem to have a book involved! Yep, same author. Really the only one I have to do that for because I get hooked. I don’t get to many either. I think they’re just not as common. Imagine they’re expensive to put on. I miss when the main branch of the public library did a summer literary series. That’s how I got to many at lunch hour. I’ve never read anything by Daniel Silva. 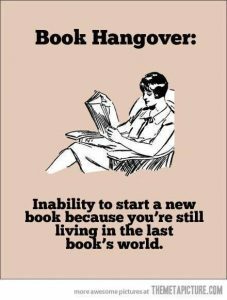 I used to get real books from the library but stopped a couple of years ago when I never seemed to be able to get back anything on time. Luckily, I love my kindle & it’s definitely easier while traveling! He’s not for everyone, but if you enjoy spy thrillers I’d recommend him. Yes, except when the latter makes me sneeze! As ever, in your debt, Cari! Thanks for introducing me to this glorious series! I had the advantage of being able to binge-read last year on my ipad but now I’m stuck with a year between new adventures. Just finished this one, and you know, I may just return to the start and read it again. This one has a few more twists and characters than usual, and I was finding it a little hard to keep track of what was going on and who had caused it and why. Yes, perhaps a little too much of Gabriel romping around the world and doing stuff. Maybe that’s realistic – hell, how would I know otherwise? – but my feeling is that heads of agencies sit in offices and try to get the accounts to balance. Not complaining, mind. Interesting that you should highlight the diminished role of Chiara. She hardly appears in this book except in a few moments of tender domesticity. I always thought of her as “the other woman” in Gabriel’s life. But he does it so well. I love the way that the characters are not just cardboard cutouts – apart from the “hoods”, and yes, that bugged me too – and they all have their own emotional minefields to tiptoe through. Gabriel is able to exploit his empathy with the target towards the end of the book in an excursion beside a waterway, and it rings true from what we know of his character. He could totally do that. James Bond, not so much. The shadows of the past hang over the GA books. When Vienna made an appearance, the emotional weight returned, helping to anchor the current plot in the setting of the series. DS has a deft touch here, treading a line between keeping the action moving, and rambling into a Proustian novel cycle full of references to references to references. Anyway, I might just go back and read the whole lot over again. The excitement might not be quite so immediate as the first time around, but I think I’ll benefit from the richly-woven background built up over the series. I just saw our comments in FB memories when you first found the series last year.I’ve been thinking of a reread but will have to track down copies. Prince of Fire is the only one I’ve reread. I agree with you on treading lightly with current events — the twins have also aged more rapidly recently. I can’t believe Irene is speaking. That said, although I didn’t enjoy the ISIS ones as much as the EUropean history, can’t do Israel without ISIS. In some of the early books I liked Chiara better than Allon. This has gone from being the Allon team to the Gabriel show – which isn’t bad, I just miss the supporting cast.